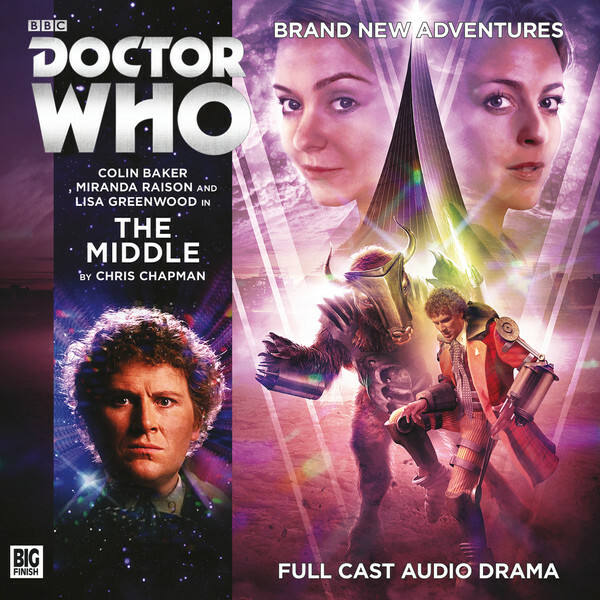 At first glance, The Middle feels like your bog-standard Doctor Who adventure, a seemingly perfect society with something darker going on underneath is something that the show and Big Finish have done before. But scratching the surface of The Middle, one can see that it is a good long look at our society, projected into a fictional setting and how we percieve the elderly. This is something that author Chris Chapman was striving for when he penned this story. “To me, The Middle was an opportunity to write about mortality. And particularly how we percieve the elderly,” Chapman recently told Doctor Who Magazine in their coverage of the audio. Well, Chapman delivers on that point in spades. Through the use of his characters, particularly Roman and Janaiya, played by Wayne Forester and Sheila Reid respectively, we can see that the elderly don’t really feel old. The Sixth Doctor, Constance and Flip team seems to have divided the listeners. Some really like them and some don’t. For me, Flip never gelled well on her own, it is nothing against the actress Lisa Greenwood, but something about her character felt off. But I really like her with Constance and the Sixth Doctor. What really works for me about this team is the way they bounce off each other. Being older than Flip, Constance gets to chastise the Doctor’s flamboyant characteristics. Flip plays off the Sixth Doctor’s fun side and inspires him to find solutions that are out of the box. The Middle seems to notice this and toys with this element of their relationships well. Constance wants to forget it is her birthday while Flip wants to celebrate it, the poor Doctor ends up in the middle of it. What Chapman also does is uses the character’s ages for us to see how they relate to this new world. Colin Baker seems like the sort of person we need right now. He has a lot to say on a multitude of subjects and his views on societies treatment of the elderly are treated in the extras. But he doesn’t do it in a way that we might expect, instead he talks about we percieve the young as he is a father. The Middle boasts a brilliant guest cast, most notably Mark Heap as the Middleman and Sheila Reid. It is nice to see Reid back in the Doctor Who universe once more. She had previously starred in the Colin Baker classic Vengeance on Varos as Etta and later in the Matt Smith finale, Time of the Doctor and Peter Capaldi’s, Dark Water, both as Clara’s grandmother. As usual, she is brilliant, bringing sympathy to her role as a woman who gave her life up for her daughter and her grandaughter when she came to The End. Mark Heap is deliciously sinister as the Middleman, the one person in charge and keeping things in complete control. For a moment I thought he might turn out to be someone like the Master as that is the way the story goes for a while. Heap should take that as praise, I thought he could have been the Master!! The main cast are on fine form as well. Both Lisa Greenwood and Miranda Raison show us new sides to their characters of Flip and Constance. And it is interesting to hear Colin Baker flex his acting skills when faced with the Doctor having to do the one thing he would never do. He is forced to kill. Of course, things aren’t really all they seem but that is a twist that I shouldn’t ruin for anyone as this story is one that deserves to be heard! The only big problem with this story is part of its conclusion. When the Middleman reveals that he hasn’t been working alone, we meet his other half and then they just leave. Does this mean this TARDIS trio haven’t heard the last of Mark Heap? I guess we’ll find out soon.